Jung-Doo Han was born in Kangjin, Jeollanam-do, Korea in April 1954, and he grew up in a rural farming village with a traditional culture. When he was in elementary school, his cousins came back from the city to stay in his hometown before joining the army and he began learning Taekwondo from them. Living in an underdeveloped county, there were no automobiles during his childhood People were farming in the countryside using a coach or cow, and life was very difficult. At that time, the culture and customs inherited from his ancestors were uncivilized and he lived in the countryside where the people practiced Buddhism and shaman rites. In his hometown, there was an elementary school that was originally set up by the Japanese and used to station and train soldiers during the Joseon Dynasty. There was only a regional office, a fire department, and the school. Jung-Doo trained in a dojang that was once a rice mill. There was no mat, instead a bunch of rice plants were laid on the floor. Still he had more fun training every day than studying for school. He earned his first degree Black Belt in Hapkido when he was 12 years old, and he learned Taekwondo through his cousin when he was in the middle school. When Jung-Doo was in high school, he got his 2nd Dan and then moved to Seoul and got the 3rd Dan there. 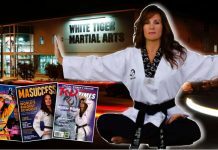 better to teach martial arts rather than becoming a police officer or taking another job. So, with the help of hisparents, he opened a martial arts school in 1978. He was 4th dan Hapkido and 3rd dan Taekwondo at that time. Without the experience to manage the school and teach, he was forced to close the school after only two years. After that, he worked for three years as a martial art instructor and taught the guards at Daewoo. He studied martial arts, acupuncture, and acupressure whenever he could, and moved back to Wonju and spent three years teaching Hapkido to the U.S. soldiers. Jung-Doo Han was married and after the wedding he opened a dojang in Eumseong and spent eight years there. After seeing Taekwondo developed with the support of the government, he worked hard at the association with the determination of integrating Hapkido as a second Korean martial art. After realizing that integration of the Hapkido Association would be very difficult, Jung-Doo moved to Seoul and opened another dojang. In 1990, he began to teach Hapkido to European Taekwondo instructors at the Dutch seminar and has been teaching them every spring or autumn since. 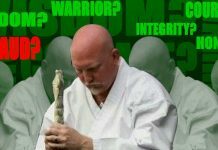 He taught in Germany, Belgium, France, Spain, Austria, Switzerland, Norway, Denmark, Sweden, Russia, Israel, Iran and the Middle East, and also visited the U.S. and Mexico twice to teach Hapkido. 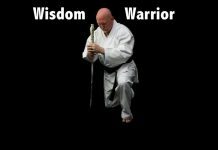 At the age of 56, he came to think of Hapkido as a martial art suitable for middle-aged people, and began to realize the depth of the martial arts. He discovered that in the beginning training in martial arts was about learning skills and having fun, and then, to some extent, the theoretical philosophy was established to teach “Tao.” Based on the understanding that “Zen” is about to reach nirvana through philosophy and training of martial arts. He then founded “Hapki-Zen,” which combines Korean martial arts with Zen when he was 60 years old. He then opened the “Korean martial arts zen” site, and for him and he feels that the training of martial arts can be completed only when it leads from Skills to Tao and Zen. 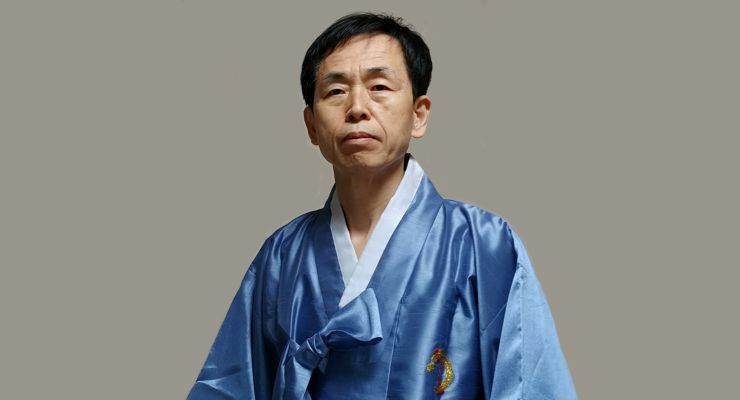 Jung-Doo Han believes that with the studying of Hapkido, people can learn the principle of body movement and the movement of the universe, and that they will find out that the gravitational energy of martial arts corresponds to the gravitational energy of the universe. Knowing that the body and the mind are used by individuals but are part of the energy of the universe and everyone belongs to one universe, and in Zen, there is no beginning or end. Jung-Doo Han desired to help international martial artists practice Korean martial arts and experience directly both training in the martial arts and in the Korean zen culture. To do this he is set up a Korean alliance to, among other things, create the opportunity for people to experience traditional martial arts training at an old fortress and perform “Zen” in a temple in his own hometown. In 1965 he began to study Hapkido, in his hometown and trained and taught under master Myung, Yoon Gun. In 1967 he was promoted to 1st degree Black Belt by Master Lee, Soo Kang in the province of Southern Jun-ra. In 1969 he was promoted to 2nd degree Black Belt by Master Lee, Soo Kang at the province of Southern Chen-ran-amdo. In 1974 he was promoted to 3rd degree Black Belt in Seoul and trained under Master Myung, Yoon Gun. In 1978 he was promoted to 4th degree Black Belt by Master Myung, Je Ok in Incheon. In 1981 he was promoted to 5th degree Black Belt by Master Myung, Je Ok in Incheon. In 1986 he was promoted to 6th degree Black Belt by Master Myung, Je Ok in Incheon. In 1990 he was promoted to 7th degree Black Belt by Master Myung, Jae Nam in Seoul. In 1996 he was promoted to 8th degree Black Belt by master Myung, Jae Nam in Seoul. In 2003 he was promoted to 9th degree Black Belt and established the Global Hapkido Federation (GHF). In 2013 he was promoted to 9th degree Black Belt and acknowledged as Founder of Hapki-Sun (Zen) by the Korean Traditional Martial Arts Founders (KTMAF). In 1973, he was a master instructor at the Hapkido Yeonmookwan HQ, where martial art instructors practiced to improve their skills. In 1978 he opened the Hansung Hall (Dojang) in Incheon. In 1981 he opened the Won Ryu Hapkido Hall in the city of Won-joo. In 1983, he opened the Samsung Hapkido Hall in the province of Choong-buk. In 1985 he opened the Backam Hapkido Hall in Yong-in. In 1988 he worked in the Business Department at the IHF (International Hapkido Federation). In 1990 he opened the Life Hapkido Hall (Dojang) in Seoul. In 1990 he taught as an international master in different countries; Netherlands, Belgium, Germany, and Israel. 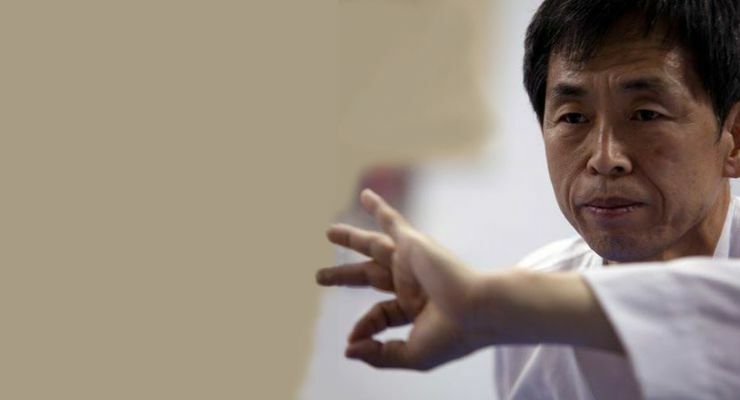 In 1997 he opened the started the first martial art website for Hapkido and Taekwondo in Korea. In 1997 he established the World Hapkido Games Federation (WHGF). In 2003 he changed the name World Hapkido Games Federation to Global Hapkido Federation (GHF). Between 1997 and 2004 he established oversea branch offices and schools (Dojangs) around the world; Belgium, Netherlands, German, Austria, Israel, France, Spain, United States, Canada, Brazil, Singapore, Hungary, Croatia, Russia, Switzerland, and Iran. In 1999 he was appointed Chief of Business Affairs for the Korea Traditional Martial Art Council. In 2000 he was President of the Korea Martial Art Network. In 2000 the Adviser of Culture Maker Co. In 2001 he was President of Korea Martial Art Culture Center. In 2004 he was President of Center for Cure-Exercises (CFCE). In October 1997, Life Hapkido was published by Hak-min-sa Co. In April 2000 he planned a program Hapkido Do-in (Spiritual Guide) Exercises* which means exercises for health. In October 2003 the video tape Hapkido Self-Defense Technique & Hapkido Cure Exercises was produced by the GHF. In 1990 the first International Hapkido Games were held at Jang- chung gymnasium, Seoul. In 1995 the first World Hapkido Friendship Games were at the Center for Citizen of Yangchun-district, Seoul. In 1998 the second World Hapkido Games were at Goo-dong Gymnasium, Kwang-joo. In 2000 the third World Hapkido Games were at Mok-po Indoor Gymnasium, Mok-po. In 2002 the first World Martial Art Games were held at Kwang-myung Indoor Gymnasium, Kwang-myung. In 2004 Korean martial arts Health Management Method Study and registered with the Yoga Association, made a program. In 2007 Korean martial arts innovation program promotion, open a dojang, Incheon Gye-yang-gu Wondang District open. In 2010 Hapkizen program study, prepared a textbook for physical training health method and mental health method. In 2014 World’s First Hapkizen Training Program for Long-distance Interactive training. In 2015 Hapkizen seminar started in America and Europe. In 2016 Open presentation of Hapkizen in front of Japanese Karate Aikido, Kendo Grandmasters and 10 Korean traditional martial arts founders at Korea – Japan martial arts exchange. In 2016 Open presentation of Hapkizen at the invitation seminar for 100 instructors of Dr. Kim Hee-Young’s, in the USA and at a seminar of 10 Korean Traditional Martial Arts Founders. In 2017 Launch Korean martial artists 100-year-old Training Association.